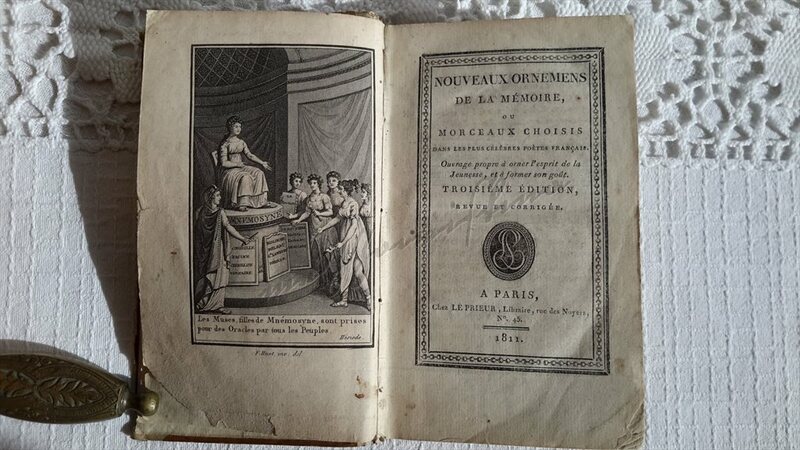 All the texts published here belong to Mozart's Children, unless stated otherwise. No reproduction, transmission and adaption of content for commercial use may be made without written permission from author. For non-commercial use, please credit accordingly. Thank you. 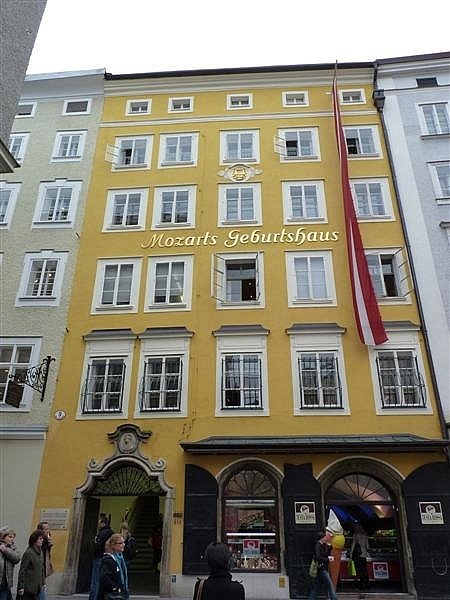 Mozarts Geburtshaus, the house in which Mozart was born on 27 January 1756, on Getreidegasse, is now one of the most frequently visited museums in the world. 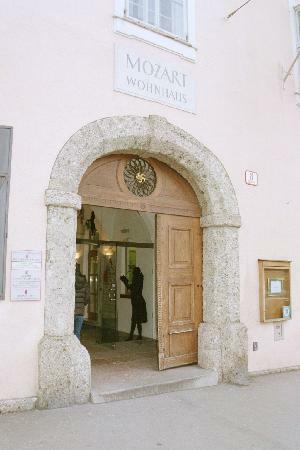 The exhibition, which spreads over three floors, carries the visitors into Wolfgang’s world, telling when he began to make music, who his friends and patrons were, how the relationship with his family looked like, how strong was his passion for the opera… Here can be seen portraits, original manuscripts and documents, as well as personal objects and musical instruments on which he has played: his childhood violin and the clavichord on which he composed a few of his wonderful works. 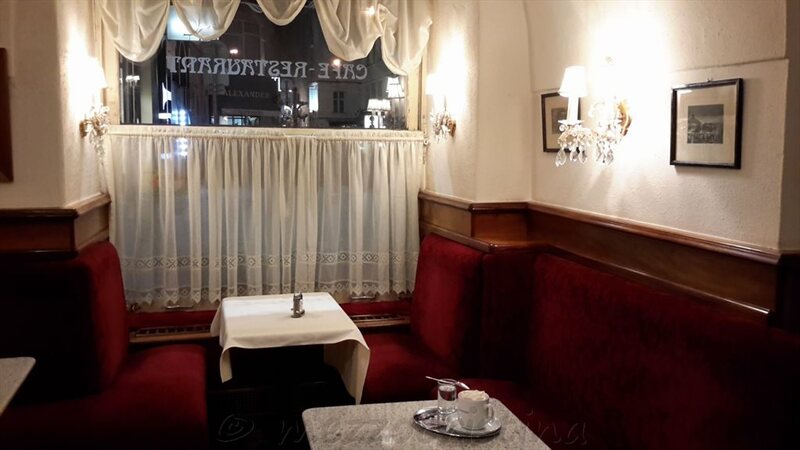 In the heart of the Salzburg historic district, next to the Residenzplatz and in front of the Salzburg Museum, you will find Mozartplatz, Mozart Square. The Mozart statue standing there is dedicated to the city’s most famous son, Wolfgang Amadeus Mozart. Designed by German sculptor Ludwig Schwanthaler, the Mozart monument stands in the middle of the square. Bavaria’s King Ludwig I was one of the driving forces behind the installation of a statue in honor of Mozart. He personally invested a significant sum of money and also financed a marble base, which is today one of the holdings of the Salzburg Museum. The monument was built in 1842, more than 50 years after the death of the great composer. 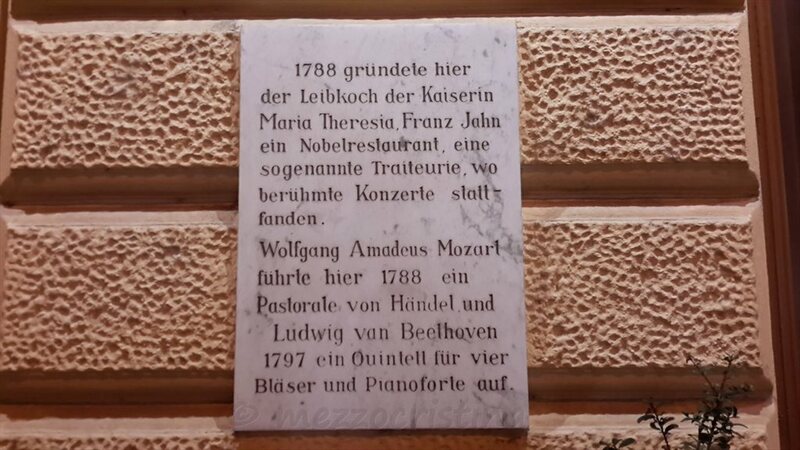 In Makartplatz there is Mozart-Wohnhaus, the residence where Mozart lived between 1773 and 1781 (the year when he left for Vienna). 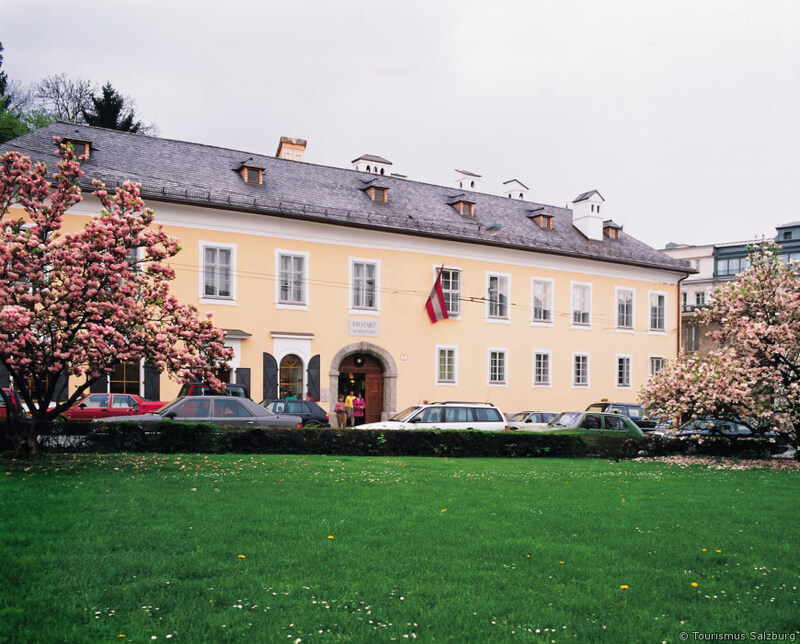 The building was severely damaged in the Second World War’s bombings, but it was faithfully reconstructed and today hosts the second important Mozart museum in Salzburg. 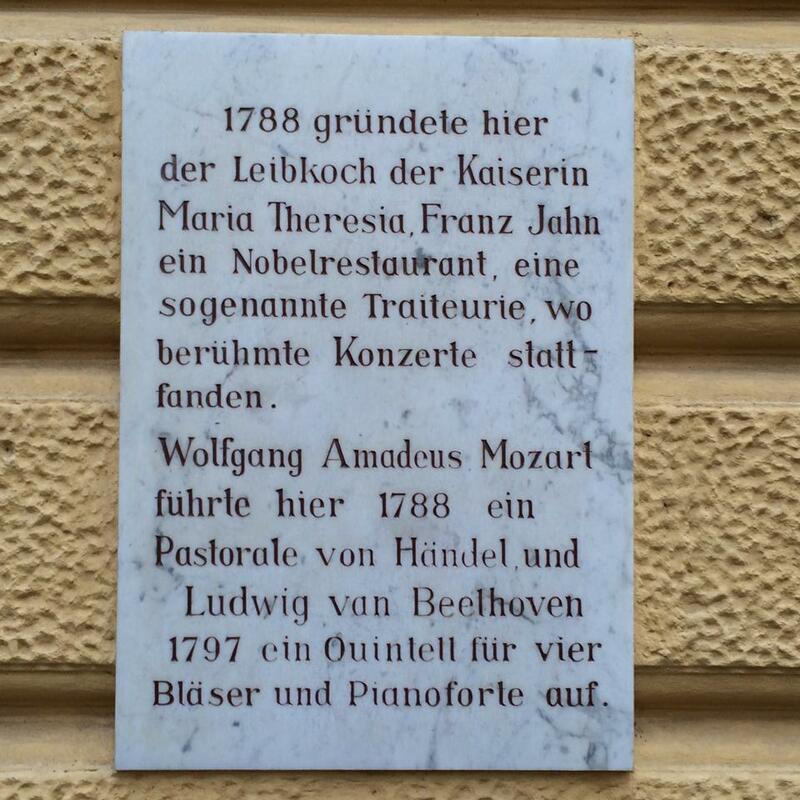 The fascinating history of how Mozart Residence was saved and reconstructed can be read on the page of The Mozarteum Foundation from the anniversary year 2016 (20 years since the official opening of the rebuilt Mozart Residence). 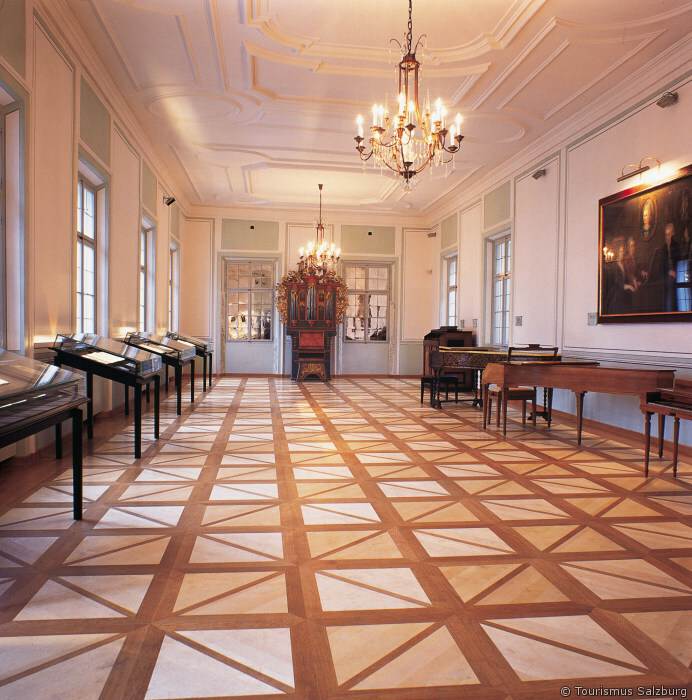 In the spacious rooms visitors can see portraits and original documents, manuscripts of Mozart’s works from the Salzburg years, Wolfgang’s original fortepiano, as well as the famous Family Portrait in the Master’s Dance Hall (Tanzmeistersaal). 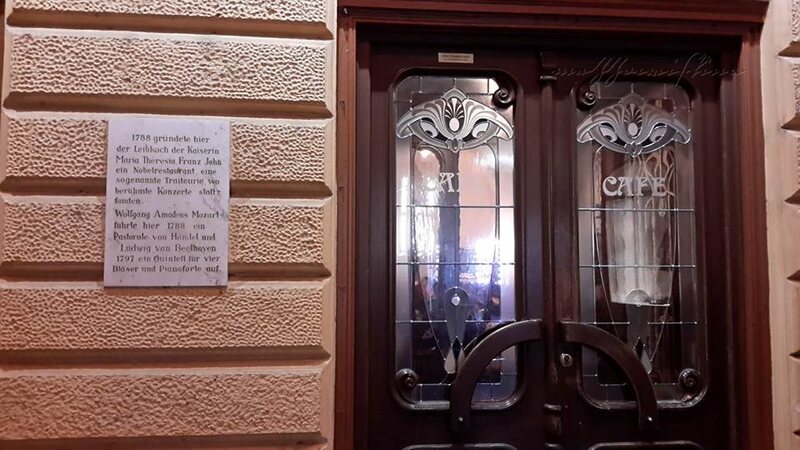 It is said that Mozart once played the organ of Trinity Church on Makartplatz. In a new concert series known as “Musica Sacra Trinitatis“, every Saturday works by important composers are performed on the organ with instrumental or vocal accompaniment. 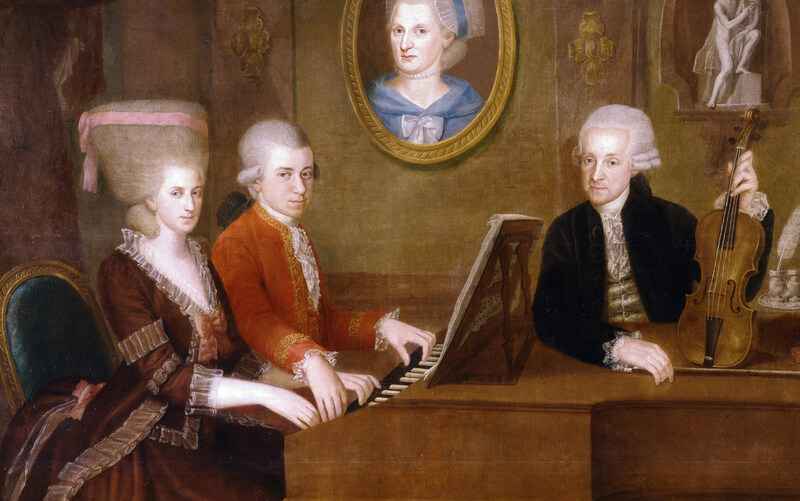 The programme of the Mozart Week 2019 is beautiful, with concerts taking place in the Grosser Saal Mozarteum, Grosses Festspielhaus, Wiener Saal Mozarteum, Universitaet Mozarteum, Mozart-Wohnung. 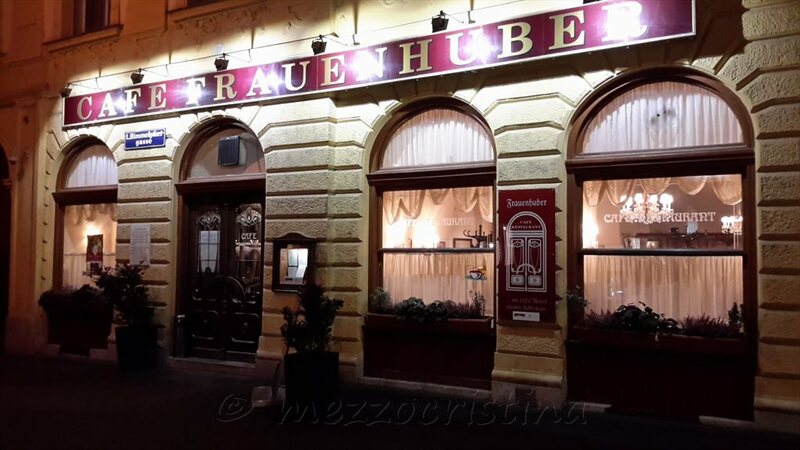 Mozart’s Birthday is celebrated, on January 27, with Specials in Mozart’s Birthplace and other events! Salzburg is a city of Music: during the year extraordinary performances take place in churches, in palaces, in concert halls… Salzburger Schlosskonzerte is one of the biggest musical events in the world: the concerts take place in the marble hall of the Mirabell Palace, there where, in another time, young Wolfgang Amadeus Mozart played himself ! 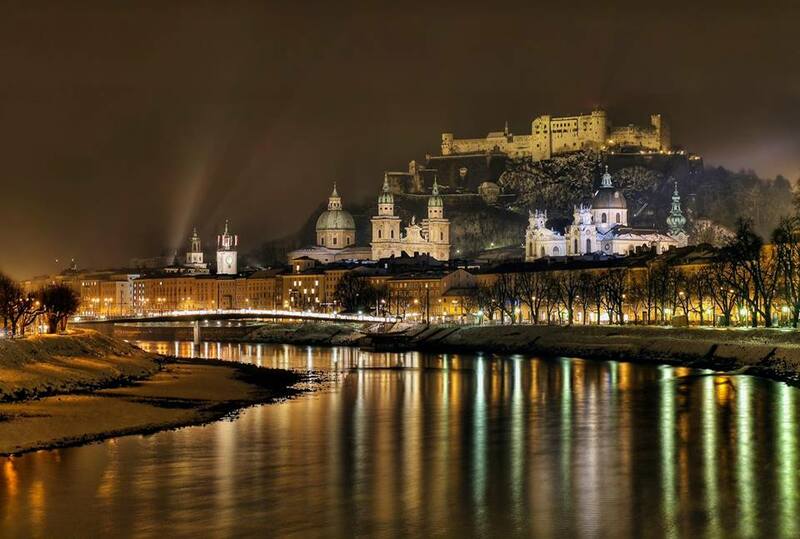 On Mozart Week, or whenever you are in Salzburg, give yourself the joy of discovering the beauties of a city whose cultural, historical and memorial values are treasured and respected! 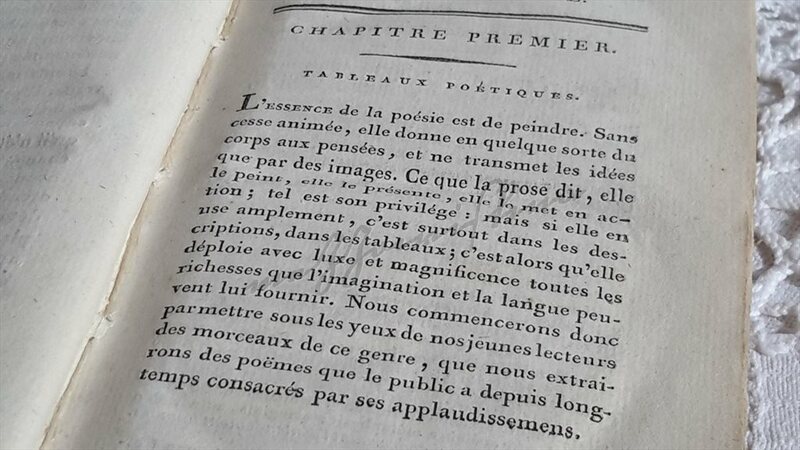 or images from the internet assumed to be in the public domain. DISCLAIMER – I don’t claim credit or ownership on the images taken from the internet, assumed to be in the public domain, used here. 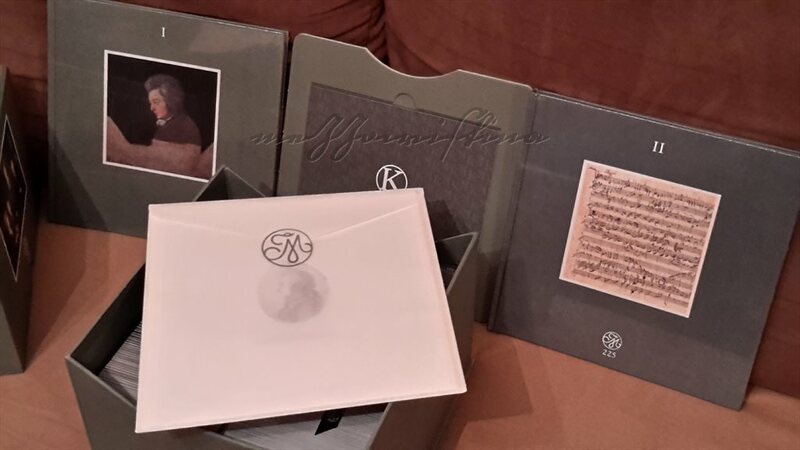 The owners retain their copyrights to their works. 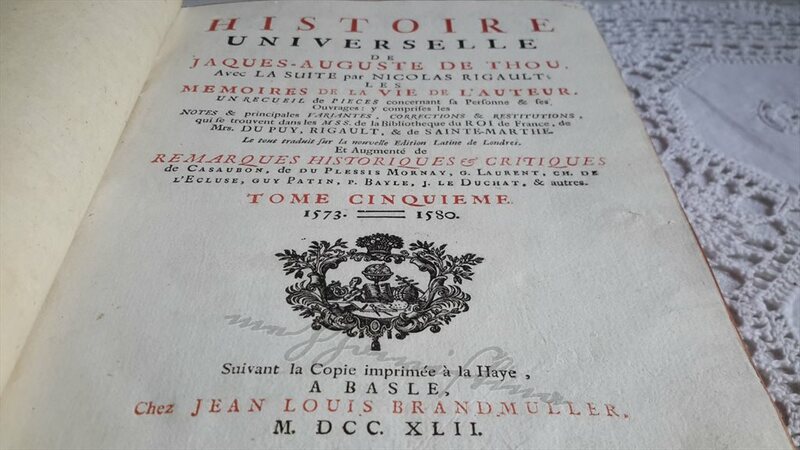 I am sharing the images exclusively for educational and artistic purposes – this blog is not monetized, and has no commercial profit whatsoever. Whenever I find the credits to internet images I am happy to add them. If you are the artist or the owner of original photos/images presented on this blog and you wish your works to be removed from here, or edited to include the proper credits, please send me a message and they will either be removed or edited. Thank you! 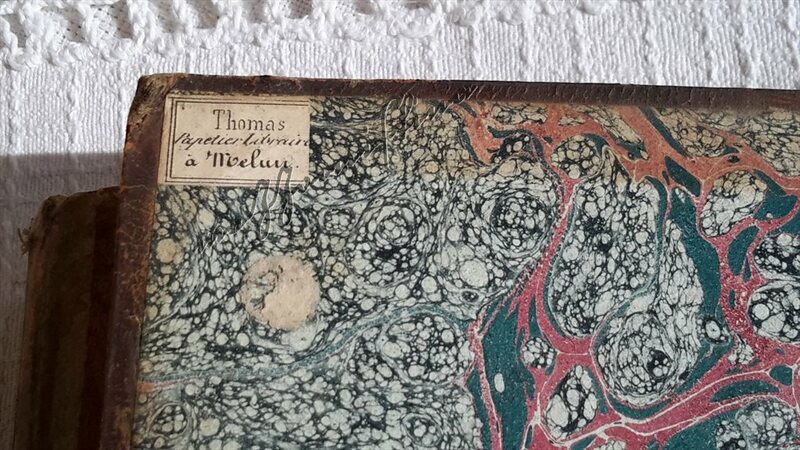 You open a book in an antique bookshop and your eyes see M. DCC. XLII. Then you jump to the last page and realize you can afford it! 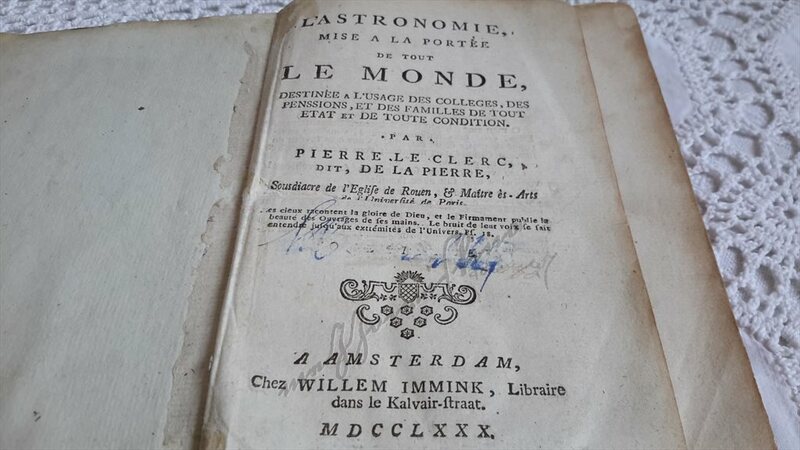 After that you take the book next to it and read MDCCLXXX, and the last page shows a price comparable to that of a book published in 2016! You call for help in your mind, and come across some memories left by your high school teacher’s insistence on the Roman numerals. 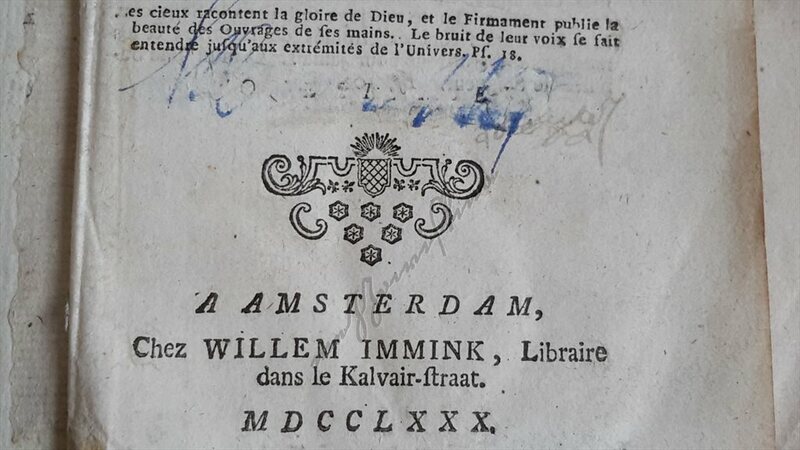 You wonder which of the two would explain it: the antiquarian had had a drink too much the night before pricing the book, or he cannot read Roman numerals… the second seems less likely, so it’s probably the first. Whatever the reason, this is a “buy and run” moment! 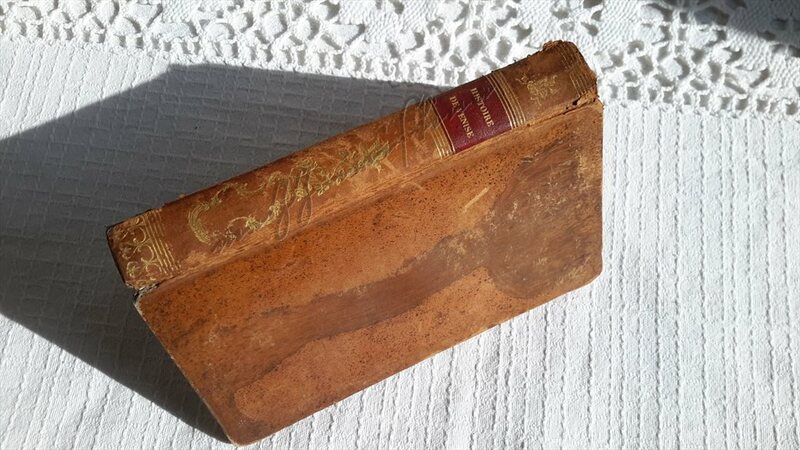 In 1763 Leopold Mozart, born in Augsburg in 1719 as the eldest son of a master bookbinder, had been living in Salzburg for 27 years. 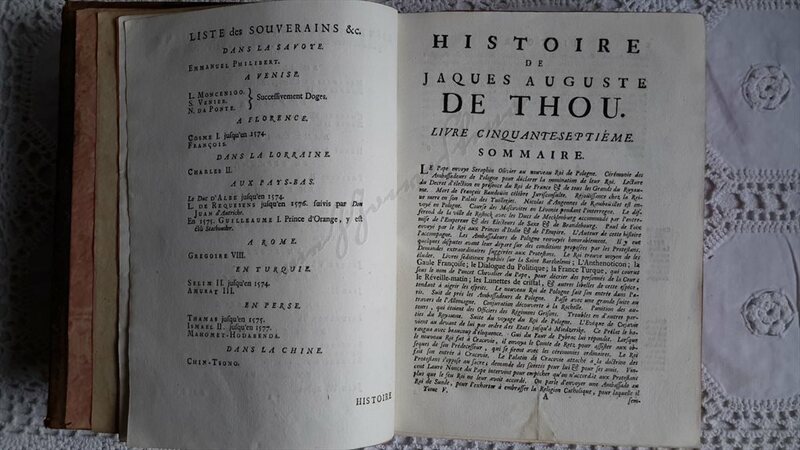 The year when this book was manufactured he was travelling with his little Wolfgang and Maria Anna to make their extraordinary musical talents known to the world, and Augsburg was their second stop – Leopold was returning to his birthplace as a proud father of two wonderfully gifted children, and the three concerts given by the music prodigies in Augsburg, end of June-beginning of July 1763, were part of the Mozart Family Grand Tour, which would last over three years, from 9 June 1763 to 29 November 1766. 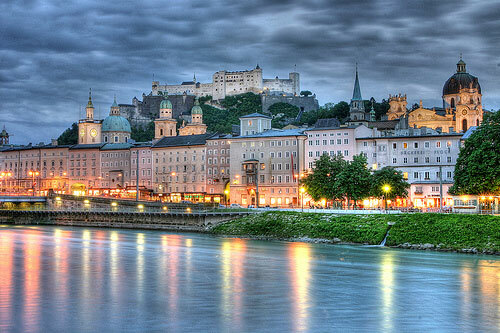 In the heart of the Salzburg historic district, next to the Residenzplatz and in front of the Salzburg Museum, you will find Mozartplatz – Mozart Square. The Mozart statue standing there is dedicated to the city’s most famous son, Wolfgang Amadeus Mozart. Designed by German sculptor Ludwig Schwanthaler, the Mozart monument stands in the middle of the square. 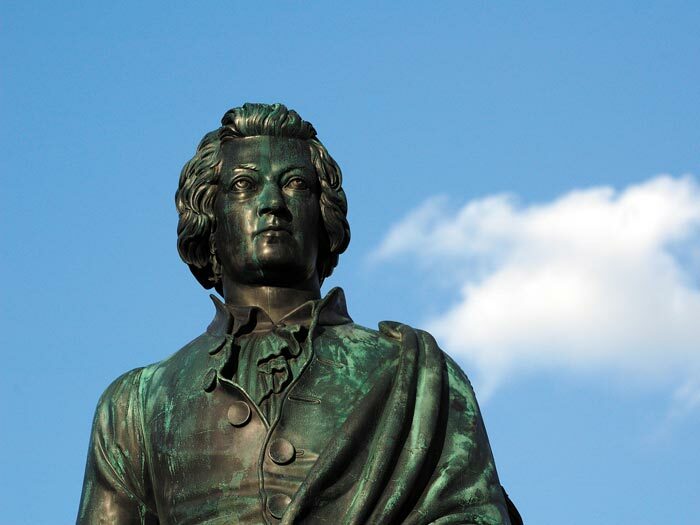 Bavaria’s King Ludwig I was one of the driving forces behind the installation of a statue in honor of Mozart. He personally invested a significant sum of money and also financed a marble base, which is today one of the holdings of the Salzburg Museum. The monument was built in 1842, more than 50 years after the death of the great composer. 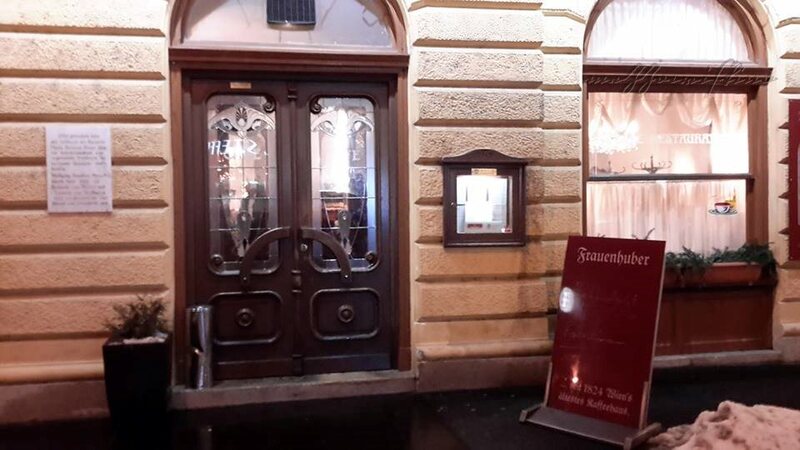 It is said that Mozart once played the organ of Trinity Church on Makartplatz. In a new concert series known as “Musica Sacra Trinitatis”, every Saturday works by important composers are performed on the organ with instrumental or vocal accompaniment. 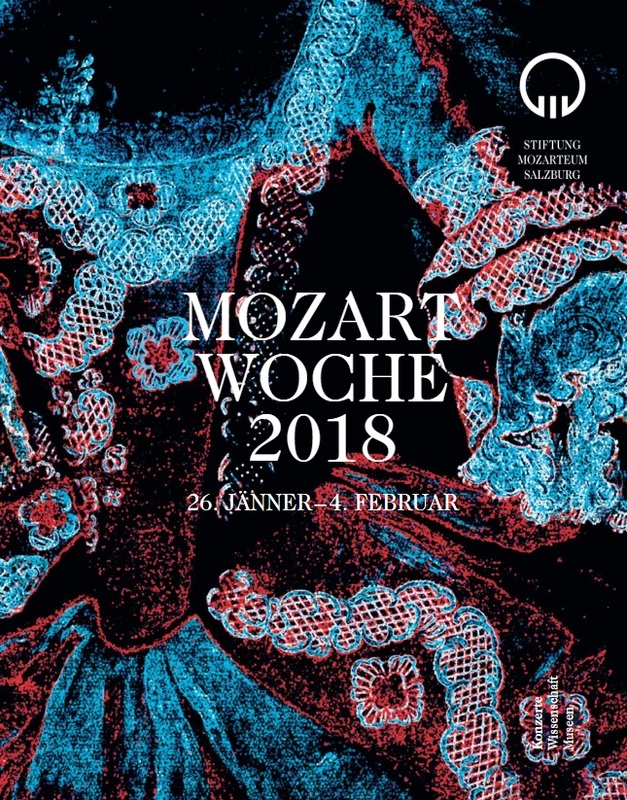 The programme of the Mozart Week 2018 is beautiful, with concerts taking place in the Grosser Saal Mozarteum, Grosses Festspielhaus, Wiener Saal Mozarteum, Universitaet Mozarteum, Mozart-Wohnung. 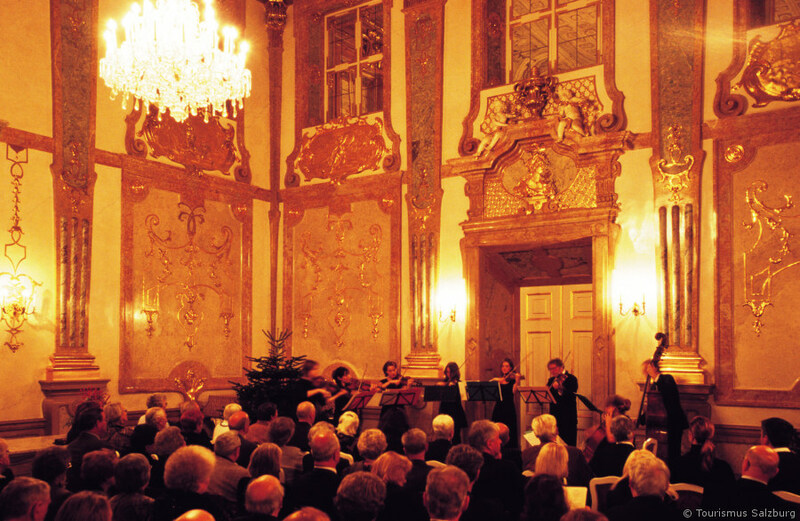 Mozart’s Birthday is celebrated, on January 27, in the Grosser Saal Mozarteum, in the morning (Mozart’s Piano Concerto in C minor K.491, Sir Andras Schiff with Cappella Andrea Barca performing), in the Tanzmeistersaal in Mozart’s Residence, at noon: concert on Mozart’s instruments (Fritz Kircher and Werner Neugebauer on Mozart’s violin, Herbert Lindsberger on Mozart’s viola, Josetxu Obregon on Violoncello), in the Grosses Festspeilhaus, in the evening (Mozart’s Symphony in C major K.551, the Wiener Philharmoniker with Robin Ticciati conducting). 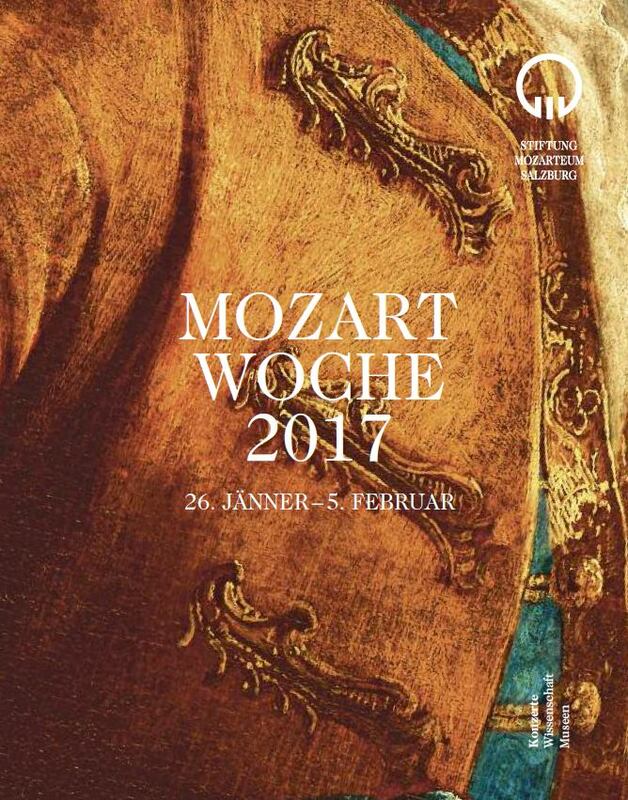 Among other wonderful concerts in the Mozart Week: on January 28, in the Grosses Festspielhaus, an evening of Mozart symphonies, Sir John Eliot Gardiner with the English Baroque Soloists performing; on January 29 in the Grosser Saal Mozarteum Daniel Barenboim playing Debussy; on January 29 in the Tanzmeistersaal in Mozart’s Residence a “Fugue workshop”: Florian birsak on Mozart’s fortepiano playing fantasies and fugues by Mozart, J.S. 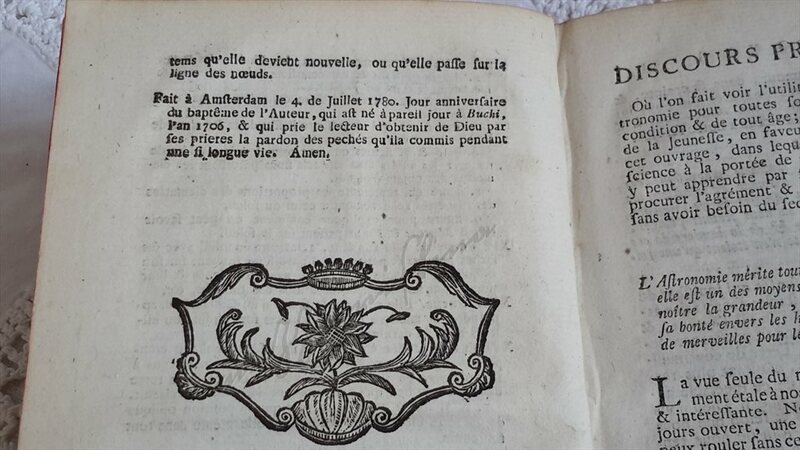 Bach, J.C. Bach, W.F. 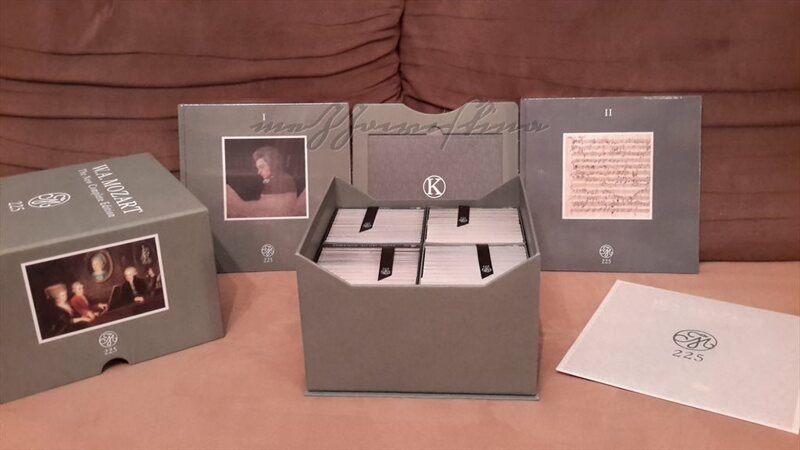 Bach, G.F. Handel, J.E. 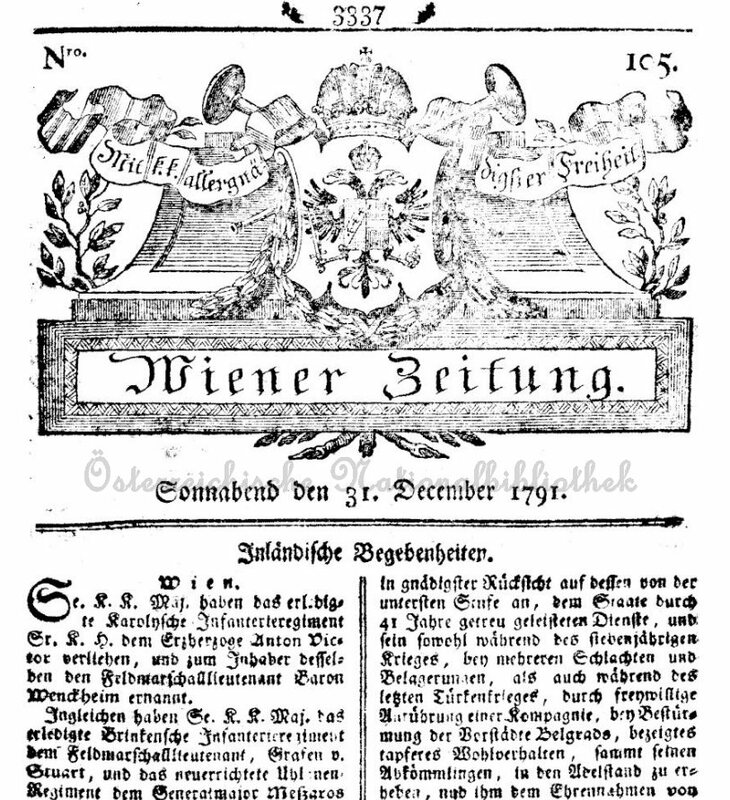 Eberlin, G. Muffat and J.J. Froberger, with a presentation by musicologist Ulrich Leisinger, addressing the question of the circumstances surrounding Mozart’s fugues; on the 1st of February in the Wiener Saal Mozarteum Robert Levin playing Mozart piano sonatas; on the 2nd of February in the Grosser Saal Mozarteum David Fray playing Mozart and Bach… and many others! 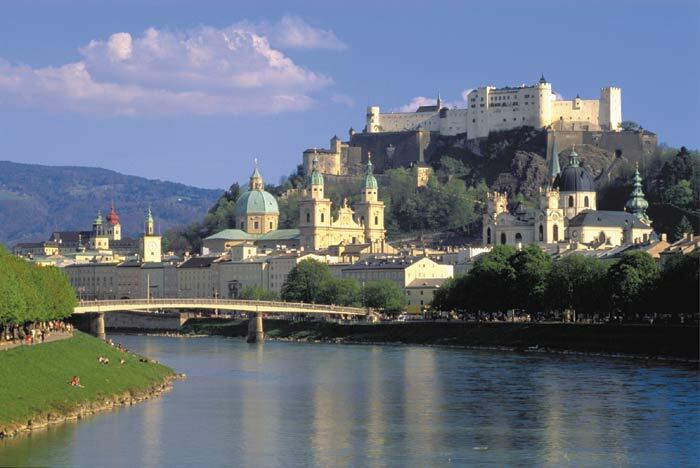 On Mozart Week, or whenever you are in Salzburg, give yourself the joy of discovering the beauties of a city whose cultural, historical and memorial values have always been respected by its rulers and inhabitants! W.A. Mozart ‘The New Complete Edition’: 240 hours of Mozart’s music on 200 cd’s (including for the first time the Handel and Bach arrangements, and performances recorded on Mozart’s own instruments), symphonies and concertos on period instruments, two fully-illustrated hardback books, prints of the last authenticated portrait, two score manuscripts and a letter to his father (courtesy of Salzburg Mozarteum Foundation), a new Kochel Catalogue. Could one have wished for more? 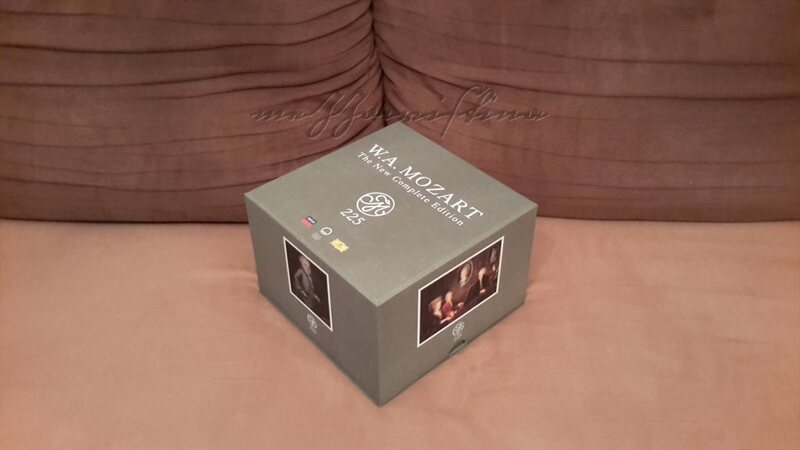 Well, maybe: to have that “In celebration of Mozart’s 225th anniversary” title on the box changed to “In celebration of Mozart”! In 2016 we celebrated 260 years from Mozart’s birth, and commemorated 225 years from his death, and since we cannot celebrate commemorations, “In celebration of Mozart” would have been ideal! 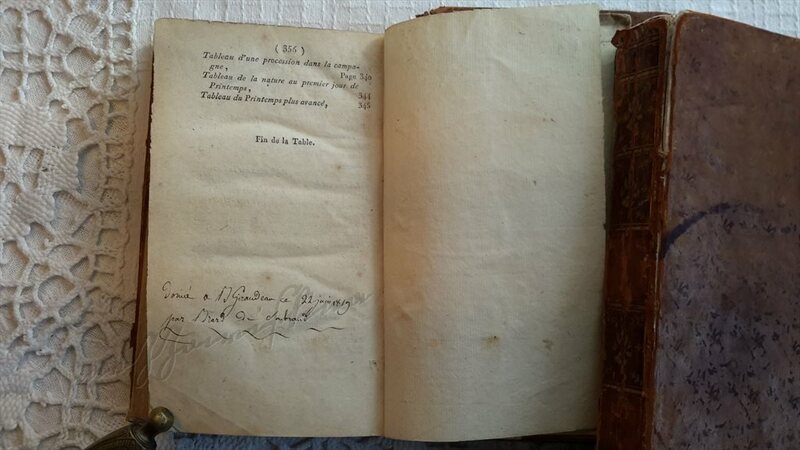 Just like it would have been to see works of all the great Mozart scholars in the books! But apart from these, I don’t know if there is anything I could have wished for more! The W.A. 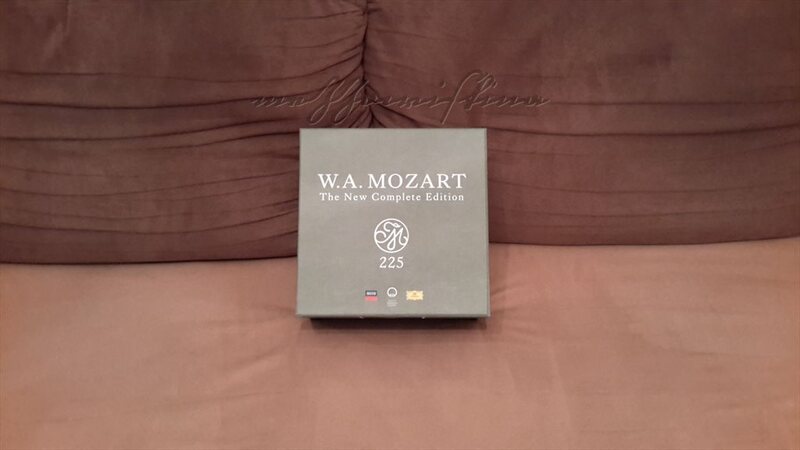 Mozart ‘New Complete Edition’ is such a beautiful accomplishment that words are not enough to describe the joy of seeing it find its place in my Mozart shelf! In May 1775 Emperor Joseph II had opened Vienna’s Augarten to the public. 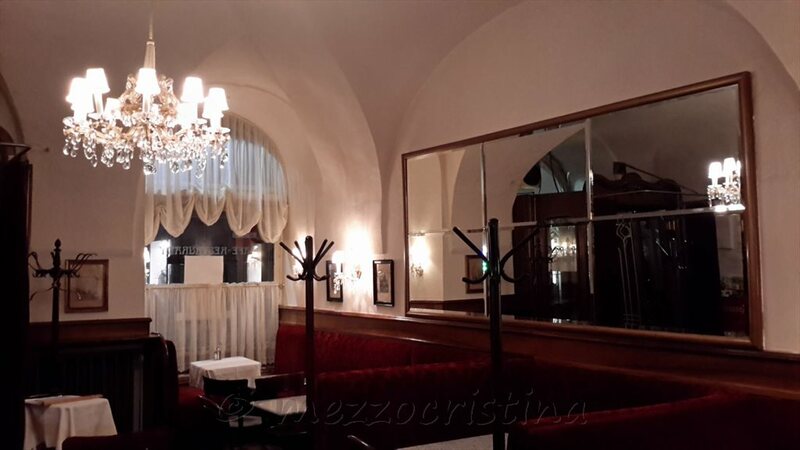 He dedicated this beautiful place “to all people”, for their amusement, so dance halls, dining and billiard rooms, refreshment places were established, and restaurateur Ignaz Jahn was put in charge as traiteur. Ignaz Jahn had been appointed Imperial Caterer for Schonbrunn Palace in 1772. 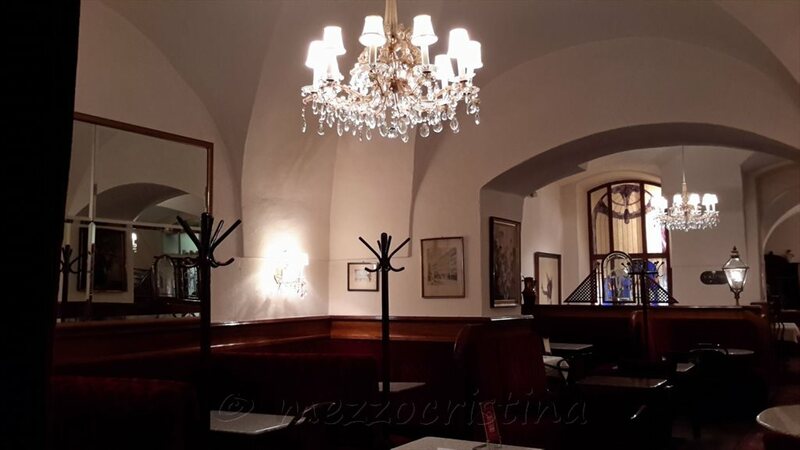 In 1775 he started running a restaurant in the Augarten (it was said that nowhere in the world you could drink any better coffee than at Jahn’s, in the Augarten), and later opened a Concert Hall adjacent to his other restaurant, in the main part of the city (now Himmelpfortgasse 6), a Concert Hall which would turn into a performance venue for famous musicians and composers in the years to come: among them, Wolfgang Amadé Mozart and Ludwig van Beethoven. 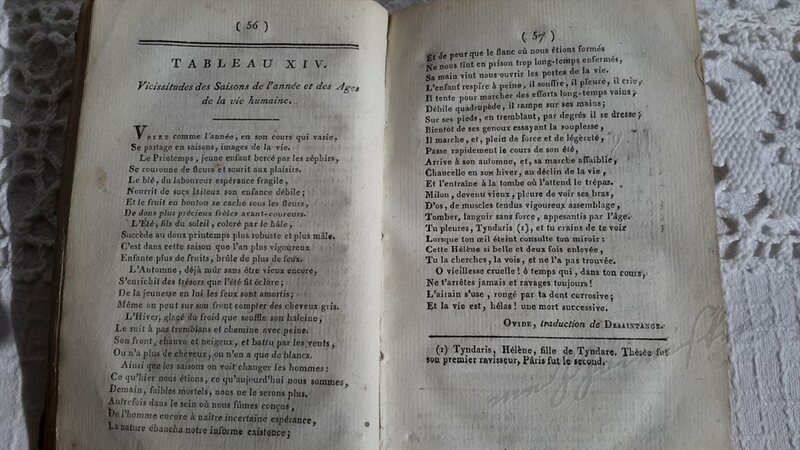 Mozart’s arrangement of Handel’s “Acis and Galatea” was performed at Jahn’s Hall in November 1788. 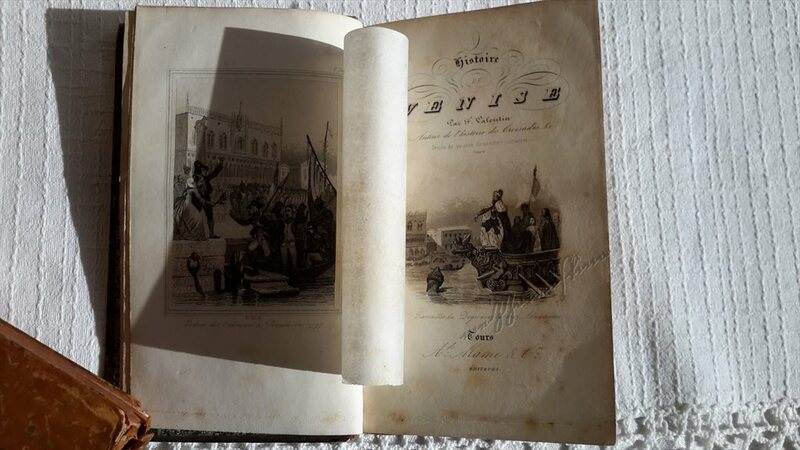 His last appearance in public is said to have been the one of 4 March 1791. 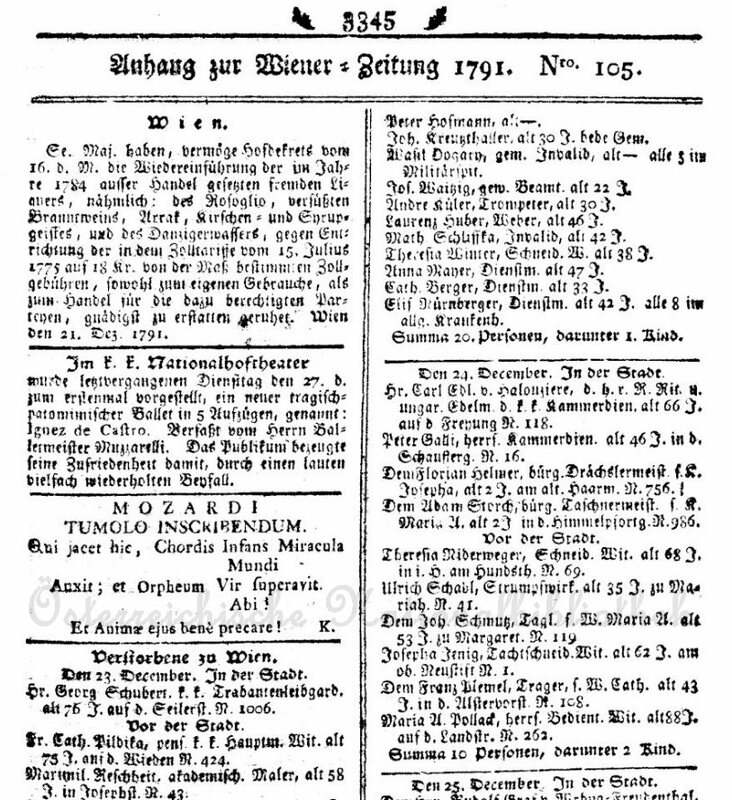 The first public performance of his “Requiem” would take place at Jahn’s Hall on 2 January 1793 – a benefit concert on behalf of his widow, Constanze, organized by Gottfried van Swieten in support of Mozart’s wife and sons. 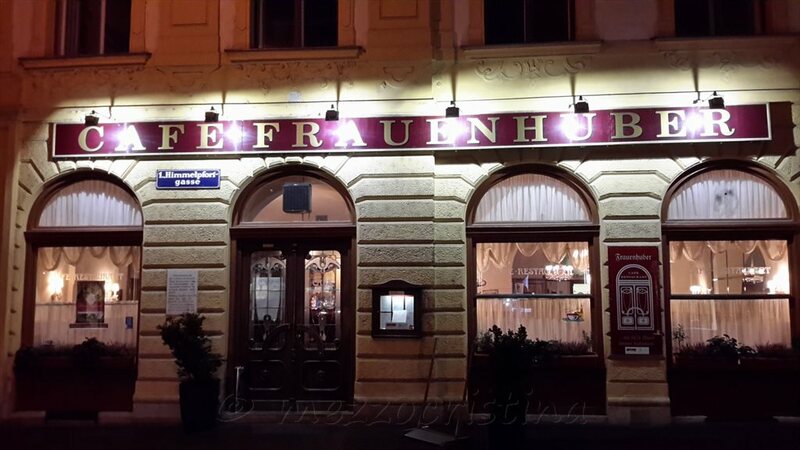 If we look for Jahns Traiteurie today, on Himmelpfortgasse, we will find Café Frauenhuber – presumably Vienna’s oldest coffee house! 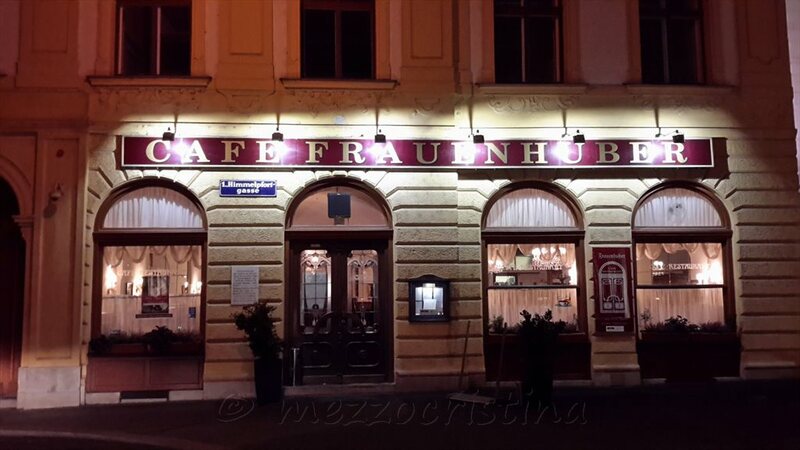 The coffeehouse changed names for a few times since 1824, then settled for Café Frauenhuber in 1891. 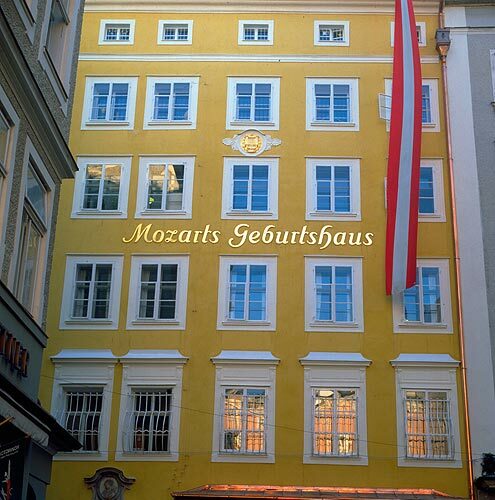 In this building, two centuries ago guests were treated with musical entertainment by Mozart and Beethoven! Could any name have been more suitable for this street than “Heaven’s Gate” (Himmelpfort)? 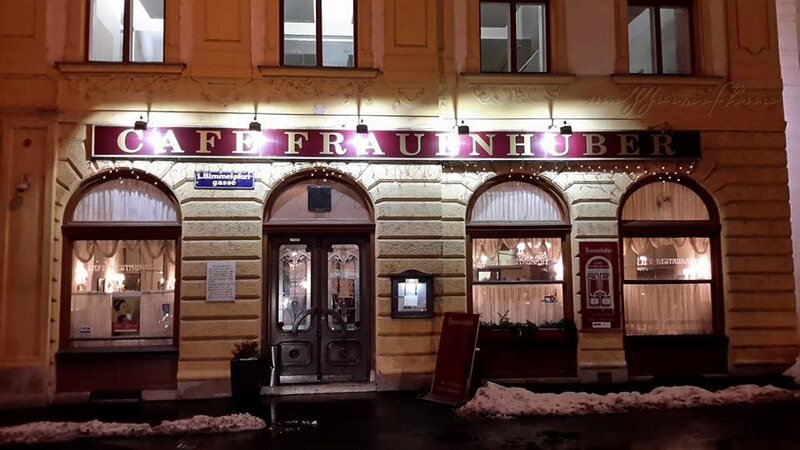 And yes, the waiter did address me with “gnädige Frau“, like I had read on the Welcome page of Café Frauenhuber! 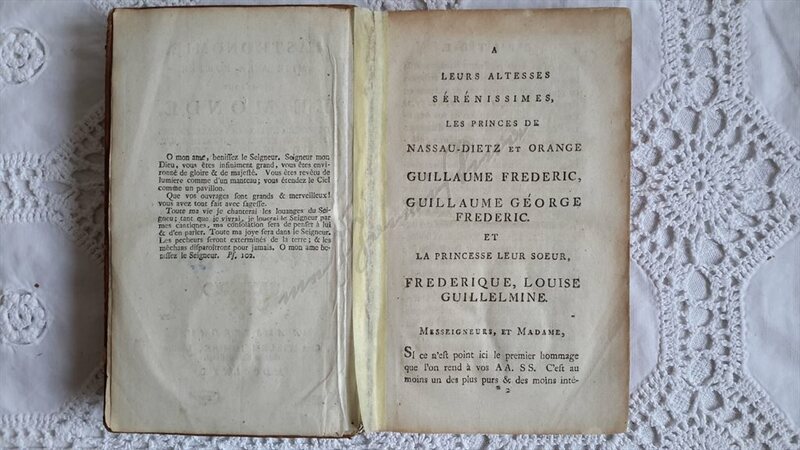 Et animae ejus bene precare! As a man, he surpassed Orpheus himself. And pray earnestly for his soul! 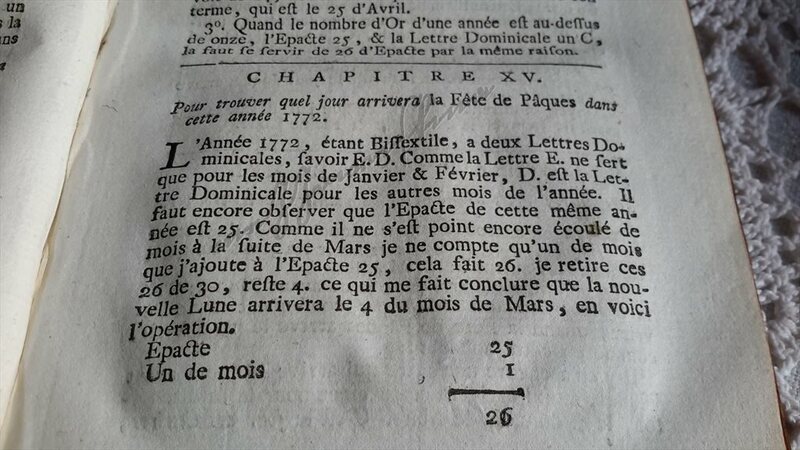 This epitaph was published in two newspapers in December 1791 and January 1792: The Wiener Zeitung of 31 December 1791 and the Grazer Burgerzeitung of 3 January 1792. 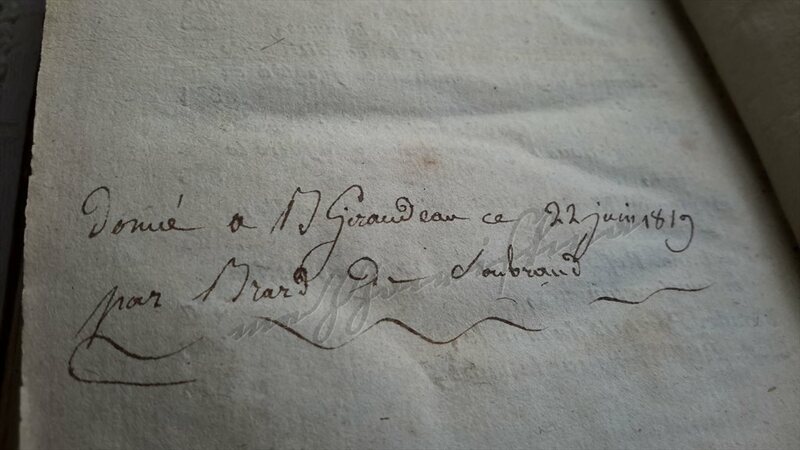 Had this been inscribed on a commemorative plaque at that time, the place where he was buried might have not been lost. 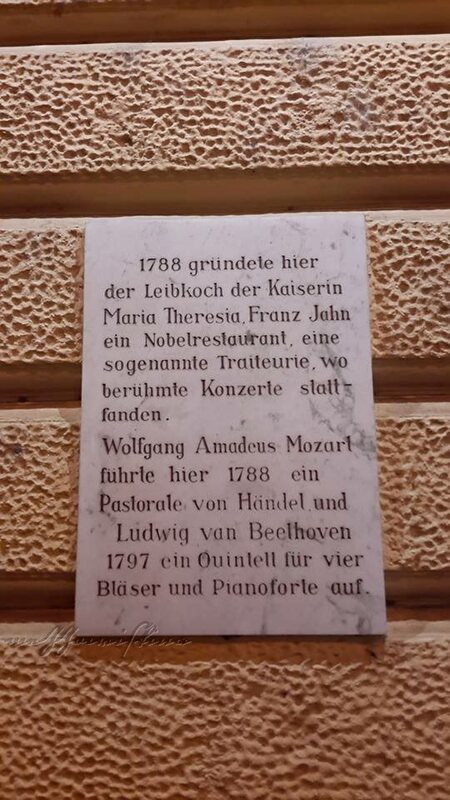 No commemorative plaque for Mozart was ever found. The Mozart Memorial in the St Marx Cemetery was erected where his grave is supposed to have been. 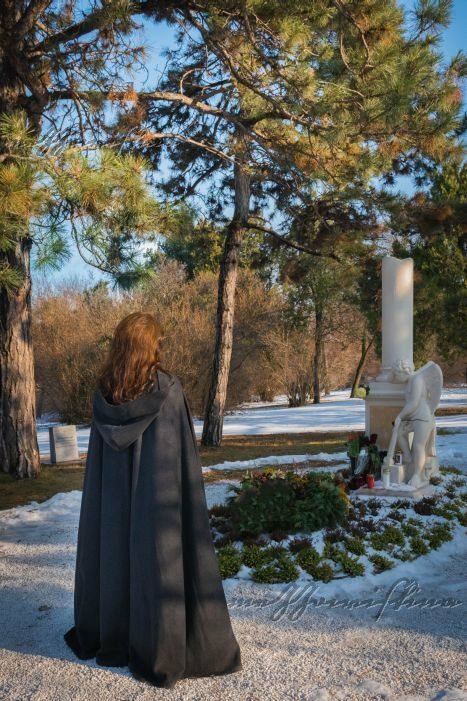 Somewhere in that holy ground his mortal remains have found eternal rest. 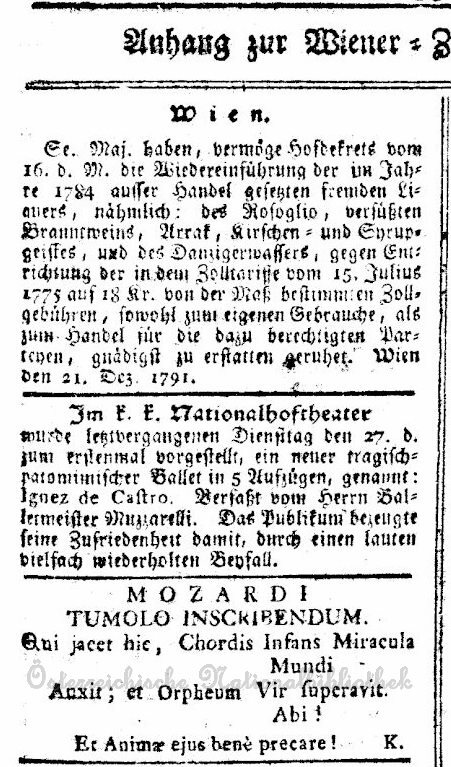 10 December 1791: Mozart lives! 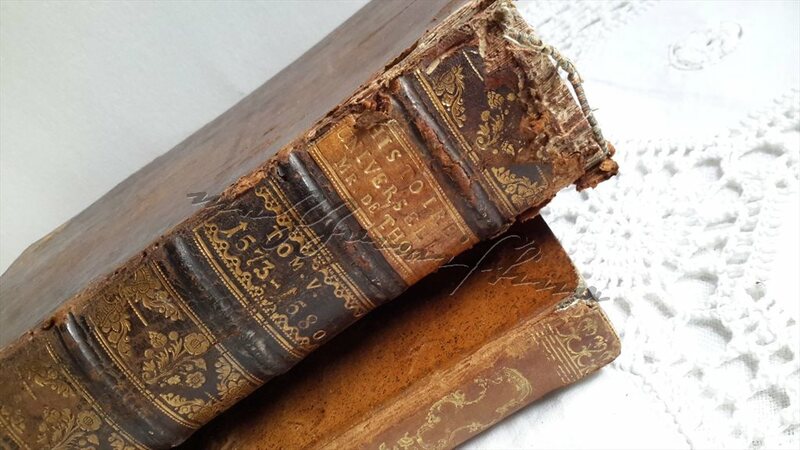 3 November 1787: Bella mia fiamma, addio! 31 October: Happy Eternity to St Wolfgang's Music! 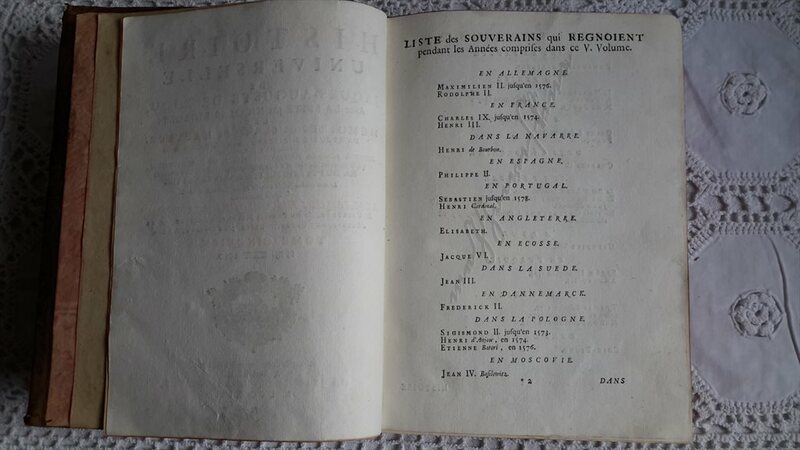 March 1784, Vienna. An evening at The Trattnerhof. 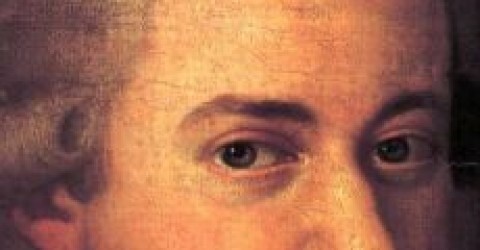 The night has come, Mozart… 6 December 1791. Happy Birthday, Wolfgang Amadeus Mozart! 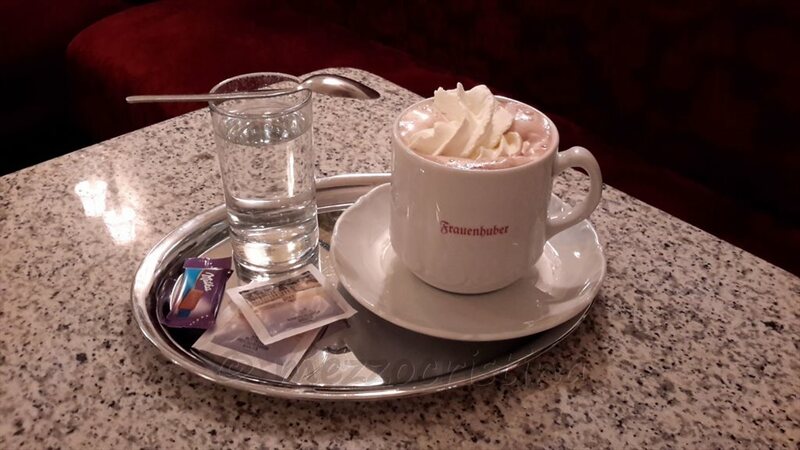 Vienna 2013: A Happy Beginning! 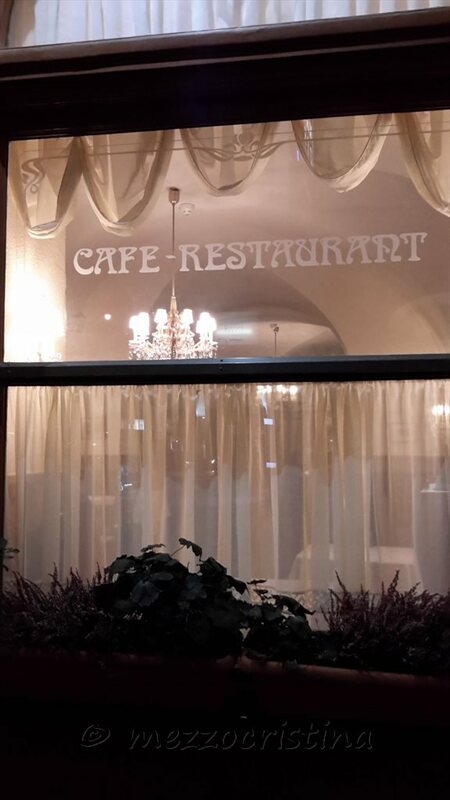 Prosit Neujahr! Mozart is alive in each being who is guided to know him!